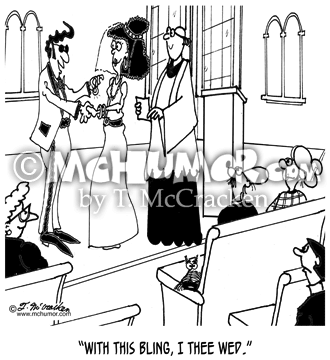 McMac Cartoon 7820: A groom says to a bride, "With this bling, I thee wed."
Jewelry Cartoon 4677: "Cultured Pearls." 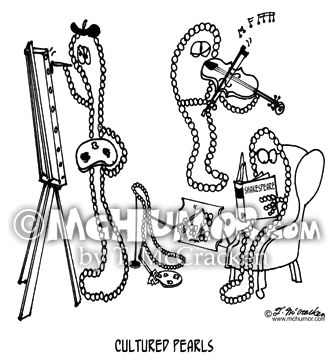 Pearl necklaces play the violin, paint and read Shakespeare. 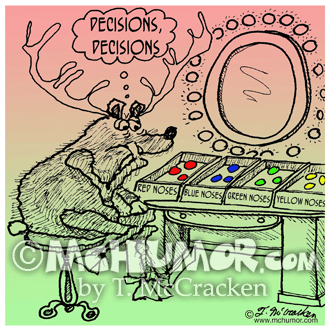 Holiday Cartoon 1629: Rudolph looking at red noses, blue noses, green noses and thinking, "Decisions, decisions, decisions." 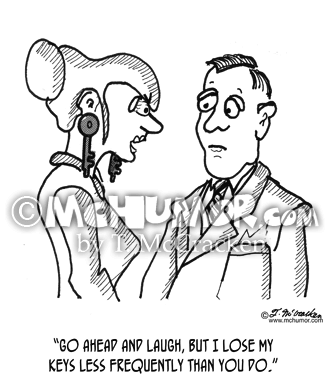 Locksmith Cartoon 2032: A woman with keys for earrings says to a man, "Go ahead and laugh, but I lose my keys less frequently than you do." 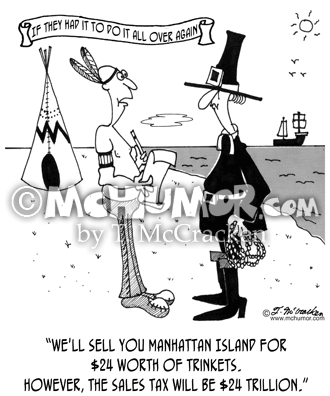 History Cartoon 4667: "If they had it to do it all over again" An American Indian says to a pilgrim: "We'll sell you Manhattan Island for $24 worth of trinkets. 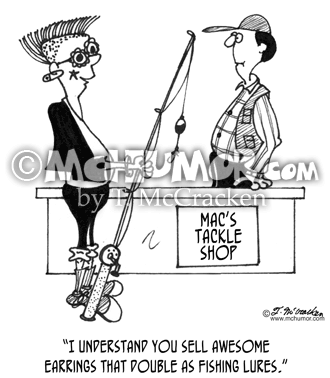 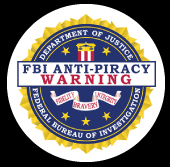 However, the sales tax will be $24 trillion." 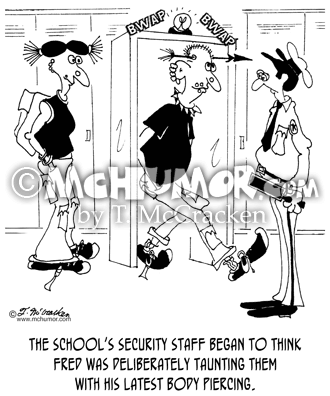 Literature Cartoon 4892: "Dickens' Counterfeit Rolex." 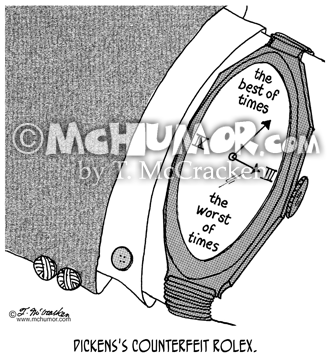 A watch that says, "it was the best of times, it was the worst of times." 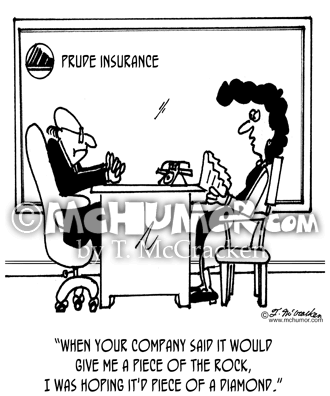 Diamond Cartoon 3991: A woman holding a stone in an office of Prude Insurance says, "When your company said it would give me a piece of the rock, I was hoping it'd piece of a diamond." 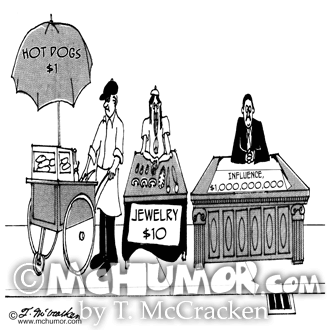 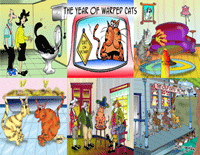 Business Cartoon 2970: Street vendors sell, "Hot Dogs, $1," "Jewelry,$10" an "Influence, $1,000,000,000."